Davana essential oil, from India, has a green, penetrating, herbal-balsamic aroma. The low lasting notes are animal and sensual. Very tenacious, this rare oil has tremendous unrealized potential. The health benefits of Davana Essential Oil can be attributed to its properties like anti depression, anti septic, anti viral, disinfectant, emenagogue, expectorant, relaxant and vulnerary. The Essential Oil of Davana is extracted by steam distillation of flowers and other parts of the Davana plant. 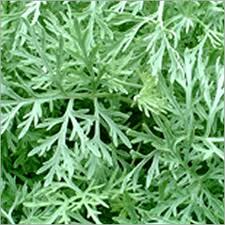 This plant is botanically known as Artemisia Pallens and it has been in use in India for religious purposes since time immemorial. There, the fresh flowers of Davana are offered to Lord Shiva, perhaps as a token of identification of its medicinal properties. The chief components of Davana Essential Oil are a ketone called davanone, linalool, few terpenoids and davana ether. * Anti Depression: Davana Essential Oil fights depression through relaxation. It also reduces blood pressure in cases of anxiety and stress and gives relief from symptoms associated with stress and depression. This oil induces mental peace, positive energy and spiritualism and helps recover from after effects of shock, trauma, disappointment, failures etc. This property can be employed for mental rehabilitation of patients of depression. * Anti Septic: It fights infections causing septic of internal and external wounds, urinary tracts, urethra, kidneys and other parts. It also gives protection against conditions like tetanus. This should be applied without delay in mild concentrations in cases of cuts and wounds, particularly from iron objects, dirty abrasives etc. * Anti Viral: This oil builds up effective protection against viral attacks. It ruptures the protective covering of virus called cyst and thereby killing the virus. It cures viral infections such as cough & cold, influenza, measles etc. * Disinfectant: It fights infections from bacteria, microbes, fungi and virus and helps cure infectious diseases. If used in fumigants or sprays or vaporizers, it disinfects the whole area and makes it free from microbes. Perhaps it is one of the reasons why davana flowers are used during worship in India. * Emenagogue: Opens up blocked menstruation and makes them regular. It is good in curing menstrual spasm. It also eases pain associated with menses and gives relief from other symptoms such as fatigue, nausea, pelvic pain, cramps etc. * Expectorant: The Essential Oil of Davana loosens a tight cough and phlegm deposits in the respiratory tracts, making breathing easier. It relieves congestion and reduces coughs and also treats other problems such as headache and pain in the joints associated with cold. * Relaxant: The Essential Oil of Davana relaxes contractions in muscles, blood vessels and also has a relaxing effect on the brain and the nervous system, thus fighting anxiety, stress, depression, anger etc. This helps you get a good night of sleep, too. * Vulnerary: This property of Davana Essential Oil heals wounds faster and protects them from infections. * Other Benefits: This oil also has mild vermifuge and insect repellent properties. It also shows hypotensive properties and brings down blood pressure. Blending: Davana Essential Oil blends with most of the Citrus, Spicy and Woody Essential Oils such as neroli, geranium, grapefruit, cedar wood, caraway, coriander and chamomile essential oils.